Google understands packets better than any, any, company on the planet. If you have trouble with that statement, go back to the sports page or People, and skip this. AMD’s new Fury X Enthusiast’s AIB packs quite a punch for such a small package. Taking advantage of AMD’s new stacked memory, the company was able to reduce the size of the board by removing all the memory chips that normally surround a GPU. But it’s still a hot processor so AMD had to water cool it. That’s OK because it comes as an assembled unit, and it runs a lot quieter than a multi-fan AIB. AR lets you move; VR is restricted because you can’t see the real world and so you bump into things. Sitting still in a planetarium or movie is not VR just because things are in 3D, or offer a 180-degree FOV (field of vision). To be VR it has to be interactive. And yet, the VR we have today is only interactive via an avatar. However, the Oculus Half Moon Touch system, Magic Leap’s system, and startup Usens’ Impression Pi (see story, page 11) offer the potential to allow people to interact more naturally in a virtual reality environment. 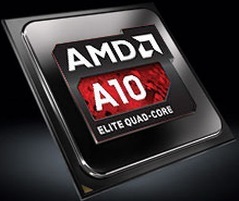 AMD’s APU is now 10— how is it on 10? In this episode of let’s see if we can melt the processor, we tortured AMD’s latest APU, the A10-7870k, a 28-nm part that competes nicely in price and performance against Intel core iN processors. We covered the technical details of the A10-7870k in the June 5, 2015, issue of TechWatch. With the launch of the GTX 950 Nvidia and its partners are bringing the high quality low power Maxwell 2 GPU to gamers with modest budgets. 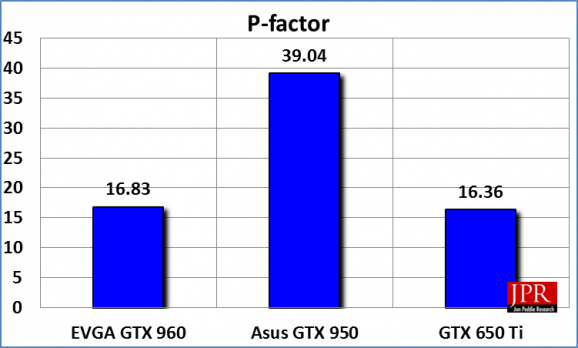 The GTX 950 is based on the GM 206 Maxwell 2 the same processor that is in the Performance class GTX 960, however the GTX 950 contains 768 Cuda Cores cut down from 1024 with 48 texture units as opposed to the GTX 960 64. Jon Peddie Research (JPR), the industry's research and consulting firm for graphics and multimedia, announced estimated PC graphics add-in-board (AIB) shipments and suppliers’ market share for Q2'15. Discrete GPUs continue to slip as embedded GPUs in the CPU and APU bring better performance for free. The erosion of the low end of the market by tablets seems to have subsided, and even tablet sales were off for the second quarter in a row. I remember, not too long ago, when Qualcomm was the darling of Wall Street, the prince of processors, the regal radio rogue, the king of the hill and the towers on the hill—until they weren’t. And then their revenue slipped 7% in a seasonally down quarter, and the mobs called for a beheading and martial law in the boardroom. What in the world is going on here? The computer graphics industry has been a growth industry since it was established in the late 1970s. It has weathered the storms of recessions and has emerged renewed vigor and potential, partly due to a big boost from mobile and the move to 4K, but also from emerging technologies including 3D scanning, 3D printing, augmented reality, and VR.